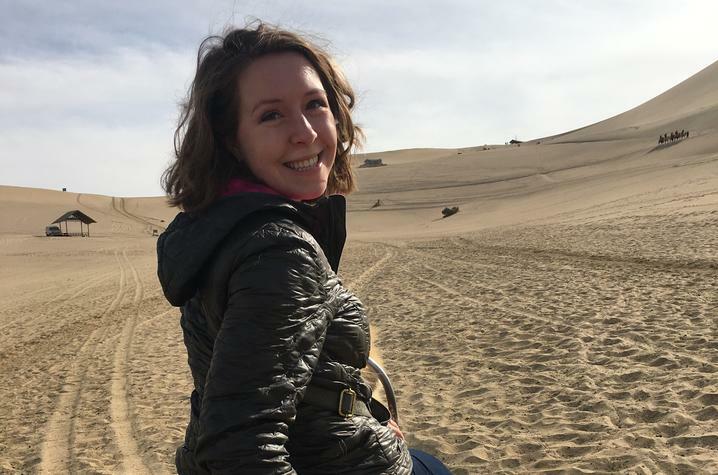 LEXINGTON, Ky. (Dec. 6, 2018) — The University of Kentucky Office of Nationally Competitive Awards has announced that 2018 modern and classical languages/Chinese studies and international studies graduate Bridget Nicholas, of Covington, Kentucky, will receive one of only 30 Thomas R. Pickering Foreign Affairs Fellowships. Nicholas is the second UK student to be awarded the prestigious honor. Funded by the U.S. Department of State and administered by Howard University, the Pickering Fellowship Program provides graduate students with up to $37,500 annually in financial support for a two-year master's degree in a field related to the Foreign Service, as well as internships, mentoring and professional development to prepare them for a career with the department. Upon successful completion of the program, Pickering Fellows work for at least five years as a foreign service officer based on the needs of the State Department, serving in D.C. or at a U.S. embassy, consulate and diplomatic mission around the globe. A current Princeton in Asia Fellow, Bridget Nicholas is the daughter of Phillip and Tonya Nicholas of Covington. After earning her bachelor’s degrees from UK in May, she has been working with Dunhuang Academy, as part of her PiA fellowship. The academy curates the Mogao grottoes and other cultural sites in the region. 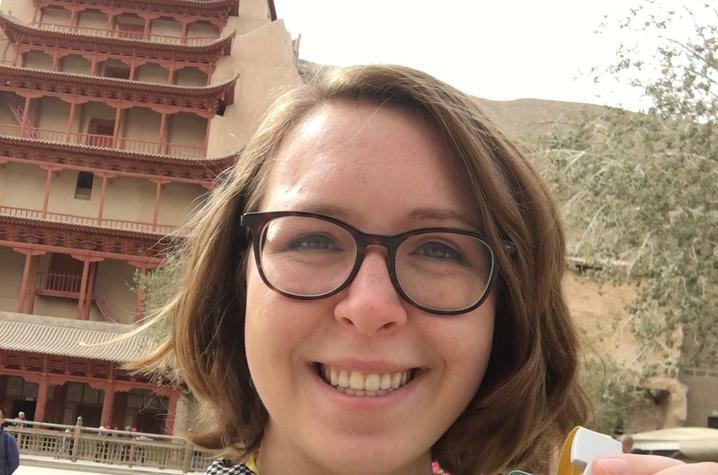 At UK, the Chellgren Fellow and member of Lewis Honors College completed an independent research project in Taiwan surveying college students about their perspectives on national identity and cross-strait politics. Nicholas presented these findings at the 2018 National Conference on Undergraduate Research and KFLC 2018. She also completed research in Chinese folklore that was presented at the 2018 Indiana University/Ohio State University Student Conference in Folklore and Ethnomusicology. A 2016 recipient of a Critical Language Scholarship, Nicholas previously participated in the U.S. Foreign Service Internship Program at the Taiwan Coordination Office, in Washington, D.C., and served again last summer at Embassy Bishkek, in Kyrgyzstan. With her Pickering Fellowship, Nicholas wants to expand her studies beyond China to gain greater transregional expertise. She is particularly interested in Central Asia and hopes to study Russian and Uyghur. Nicholas applied for the Pickering Fellowship through the UK Office of Nationally Competitive Awards, part of the Chellgren Center for Undergraduate Excellence within the Division of Student and Academic Life at UK. The Office of Nationally Competitive Awards assists current UK undergraduate and graduate students and recent alumni in applying for external scholarships and fellowships funded by sources (such as a nongovernment foundation or government agency) outside the university. These major awards honor exceptional students across the nation. Students who are interested in these opportunities are encouraged to begin work with the office's director, Pat Whitlow, well in advance of the scholarship deadline.